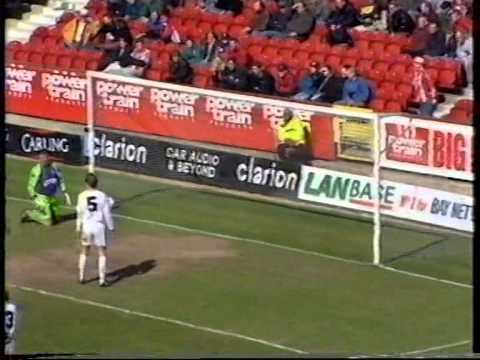 World Cup winner Martin Peters nets as the Blades register a comfortable victory over the Town, shown on Match of the Day. 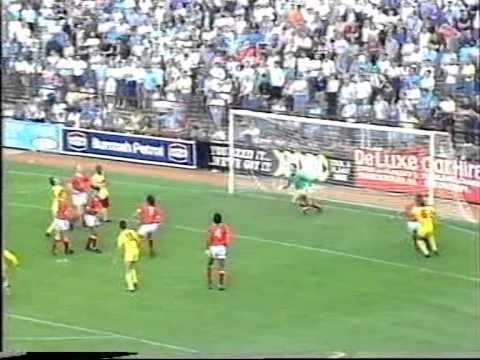 After losing at Bradford on the opening day of the season, the Town's first home game back in the second tier since 1974 ends in victory - Colin Calderwood and Jimmy Quinn netting first half goals to beat the Blades. 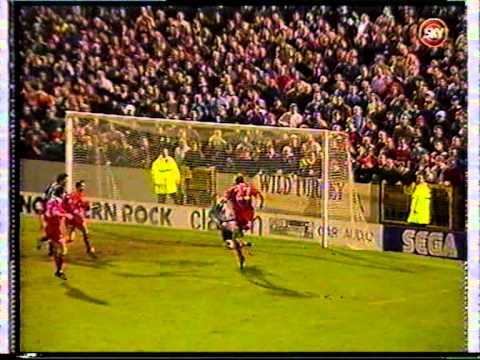 The Blades make it back-to-back home defeats for the Town - a 2-0 win taking them to the top of the table - but the victory is bittersweet, Peter Duffield breaking his leg in the build up to Jon Gittens' opening own goal. 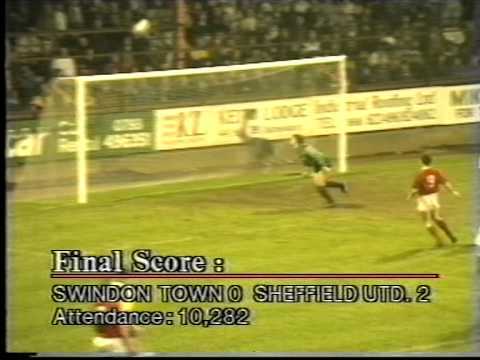 The Town's first game in the top flight - and though a cheeky John Moncur free-kick gets them back on level terms, two goals in the last fifteen minutes by the Blades ensures that the game ends in defeat. Swindon come closest in the relegation battle at the County Ground - but Sheffield United hold out for a goalless draw. 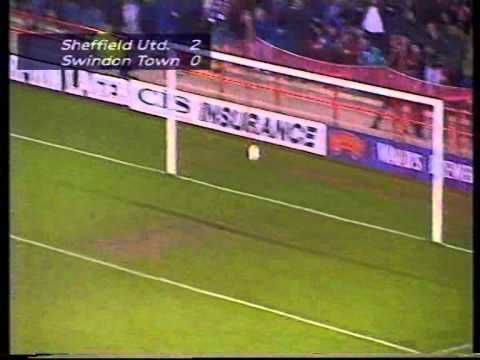 Paul Bodin gives a Christmas gift to the Blades - his second half own goal handing the lead to the visitors, before Adrian Littlejohn wraps up the points. Swindon miss out on a vital three points after a late Blades equaliser. 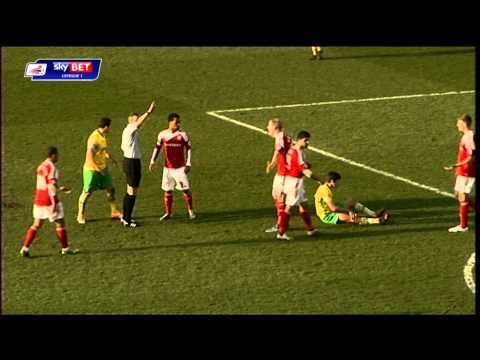 Swindon slip to their third defeat in a row at Bramall Lane. 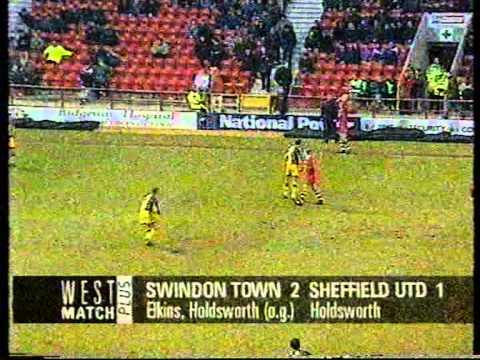 As Jan Fjortoft returns to the County Ground for the first time since leaving, his teammate David Holdsworth scores at both ends - Gary Elkins netting his only goal for the Town in a 2-1 win. 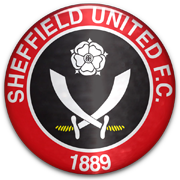 Swindon concede yet another late goal - this time an equaliser for Sheffield United with just eight minutes left on the clock. 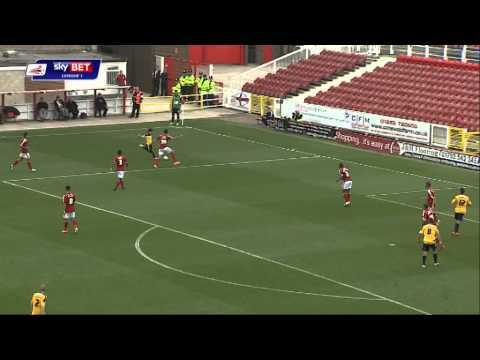 David Holdsworth scores another own goal for Swindon, but it proves to be just a consolation, as the Town open their season with defeat at Bramall Lane. 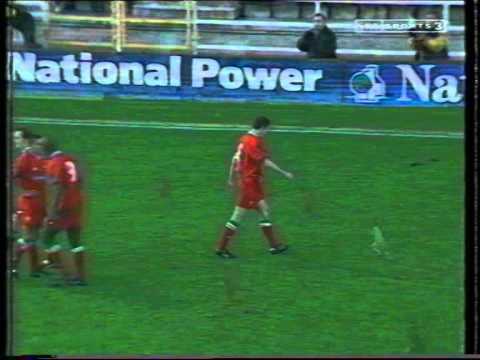 Brian Borrows is sent off for a professional foul - but the ten man Robins take the lead early in the second half - but Blades captain David Holdsworth makes amends for some of his previous own goals with a last minute equaliser. The Town go two goals up at half time thanks to a Chris Hay double - but Sheffield United's Martin Smith repeats the feat in the second half as the spoils are shared. 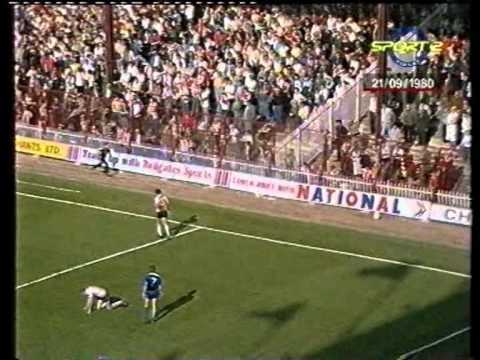 Colin Todd takes charge of his first game as boss of relegated Swindon - two goals from Grazioli resulting in a 2-2 draw at Bramall Lane. 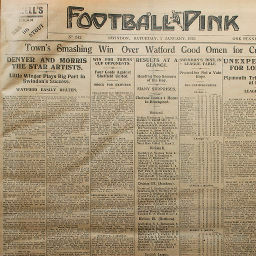 Click to view a newspaper report of Swindon's 1-2 defeat at Sheffield United in the 1928-1929 season. 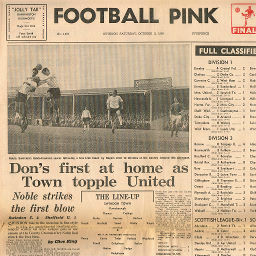 Click to view a newspaper report of Swindon's 2-1 win against Sheffield United in the 1969-1970 season. 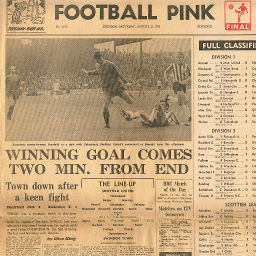 Click to view a newspaper report of Swindon's 1-2 defeat at Sheffield United in the 1970-1971 season. 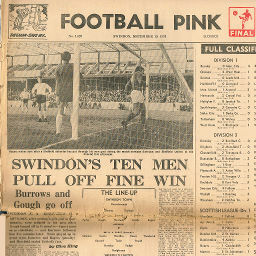 Click to view a newspaper report of Swindon's 3-0 win against Sheffield United in the 1970-1971 season.